Admitted to bar in 2006, Arkansas; also admitted to practice before U.S. District Court, Eastern and Western Districts of Arkansas in the US Bankruptcy Court. Licensed in Missouri. University of Tennessee (B.A., Political Science, 2002); Leadership and Trustee Scholarship, Lyon College (1997 – 1998). Member, Arkansas Bar Association and Craighead County Bar Association (2006 to present); Arkansas Bar Association Sections: Real Estate Law and Business Law. Member, Missouri Bar Association (2013 to present). Member, American Bar Association (2006 – 2011). Board of Director, Stop the Bleeding Foundation (2016). 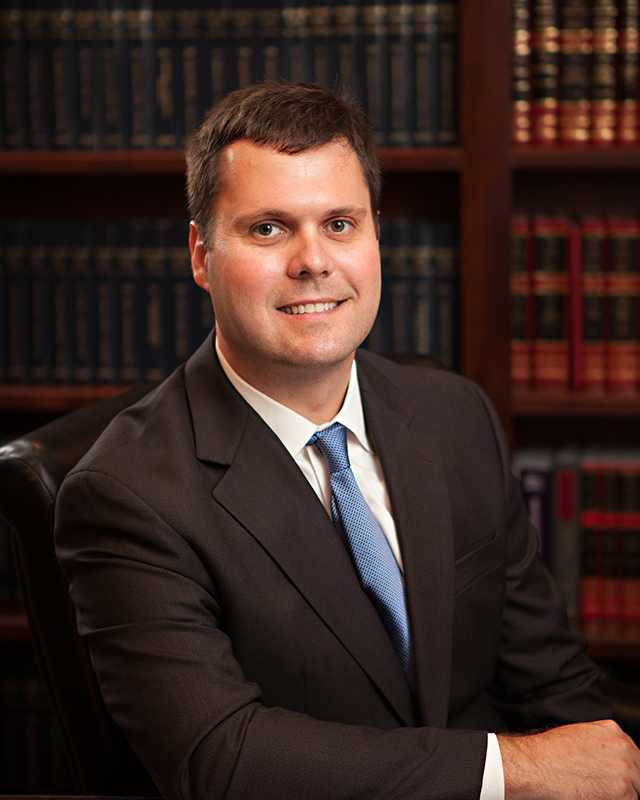 Founder and President, University of Tulsa College of Law, Sports and Entertainment Law Society (2004 - 2005); Member, Student Board of Advocates (2004 – 2005). Member, University of Tennessee, Pi Kappa Alpha Fraternity (2000-2002). Lyon College Top Doubles award recipient (1998). Creditors’ Rights, Real Estate Law, Banking Law, Bankruptcy, Business Law, Construction Law, Tort Law, Personal Injury, and Litigation.